Volvo has partnered with agency TRO to devise Swedish-themed experiential activations at four UK festivals this summer. The experience to be delivered at each festival is designed to promote Volvo's new XC90 model, and it will encompasses an onsite activation in the main festival site and camping grounds, as well as pre and post communications, such as competitions. From 30 July to 2 August the Swedish-born brand will activate a tipi tent complete with a Fika Café and static vehicle displays. The brand will also deliver a schedule of arts and crafts activities for children within the tipi throughout each of the festival days. On arrival day Volvo will provide a shuttle service, and brand representatives will hand out scented towels and Swedish-style refreshments to attendees, meanwhile children will receive an activity book to keep them entertained. 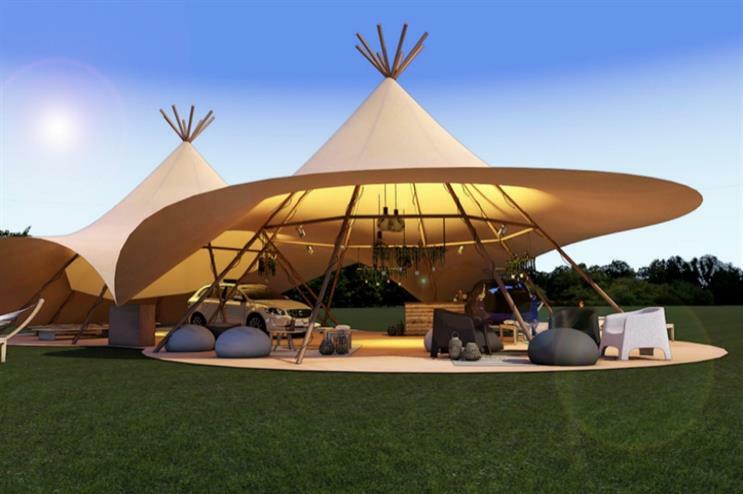 The brand will also activate its tipi tent activation at the festival, which is set to run from 6-9 August. There are plans to create a branded bar within the Boutique Campsite area, as well as a localised Fika activation in the campsites. Volvo will deliver a static vehicle display as a minimum at the event, and it is looking at bringing its tipi tent to the festival from 3-6 September. Ten of the new XC90 cars will be used to shuttle festival-goers from the parking area to the campsite, and the paddle board activation, which the brand has been involved with in previous years, is also on the cards. Volvo kicked off its summer festival campaign at Eroica Britannica on 19-21 June with the Cycling by Volvo stand, and attendees could pose beside cycler Eddy Merckx’s Volvo V140 support car.